Since 2008 the highest individual accolade a soccer player can receive, the Ballon d’Or, has been won either by Lionel Messi or Cristiano Ronaldo. Now there is a new contender challenging for the title and according to Brazilian legend Cafu, Neymar is set to become the best player in the world. Cafu spoke with The Silver Times about Neymar’s talent in an interview stating, “this is a genuine phenomenon, this is one of the best players in the world, no doubt and it has yet to grow this… perhaps the best player in the world.” Earlier in the year Cafu had also put forward that Neymar was not only the best Brazilian soccer player currently playing but that he was already technically better than Messi and Ronaldo. While this bold statement causes a lot of debate there can be no denying that Neymar is snapping at the heels of soccer’s greatest players. Last year he came third in the Ballon d’Or, according to the BBC behind Messi (who won) and Ronaldo. In 2014 he was voted the best player in the World Cup despite Brazil’s disastrous exit. The next year he was made captain of the Brazil squad and would lead his team to gold in the 2016 Rio Olympics. Like David Beckham and Cristiano Ronaldo, Neymar has managed to cultivate a brand around himself. 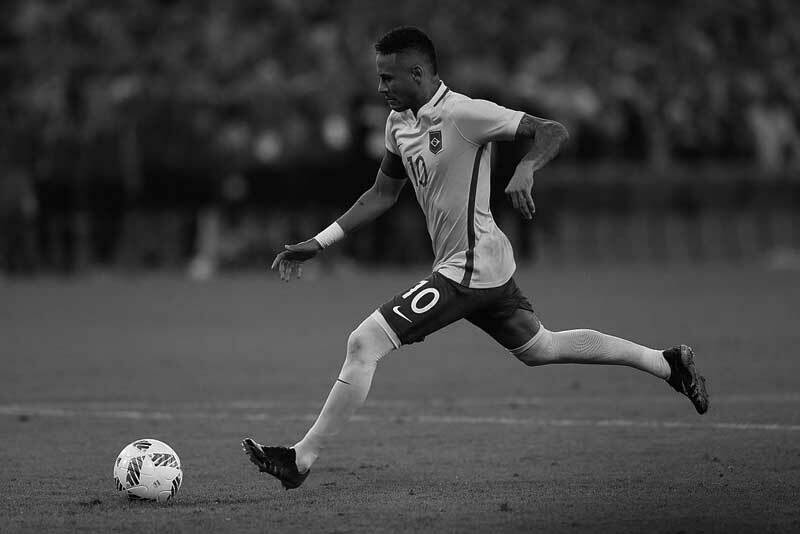 Online Culture magazine the Short List state that Neymar has twice been named the most marketable sportsman in the world by SportsPro Magazine. One example of his successful branding is that he was the cover star of Pro Evolution Soccer (PES) 2016. Game developers often use famous footballers or tournaments to promote their games as it is easy to tap into fan loyalty and the frenzy that surrounds international tournaments. Popular online gaming portal Pocket Fruity used the recent success of the Euro 2016 tournament in their game Football: Champions Cup in the same way that PES 2016 used Neymar. It creates an instant recognisable connection and loyalty between the soccer fan and the brand. Neymar is also sponsored by Volkswagen and Spanish baking group Santander because these brands sought an international star to be the face of the companies moving forward. The biggest test of Neymar’s career will come in 2018 when he leads Brazil to the World Cup in Russia. There will be an unbelievable amount of pressure resting on his shoulders both to redeem the national team after the 2014 tournament and lead them to the trophy. Neymar is a very great player. I hope he do get the chance to win the Balland’or this coming season. But I must for this to be achieve, probably he might consider leaving Barceloan for greener pasture.